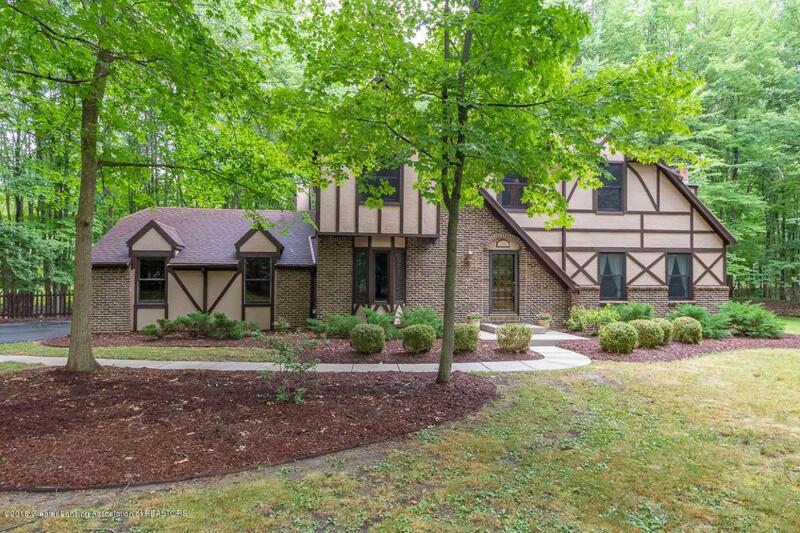 WONDERFUL OFFERING IN THE AWARD-WINNING OKEMOS SCHOOL DISTRICT! 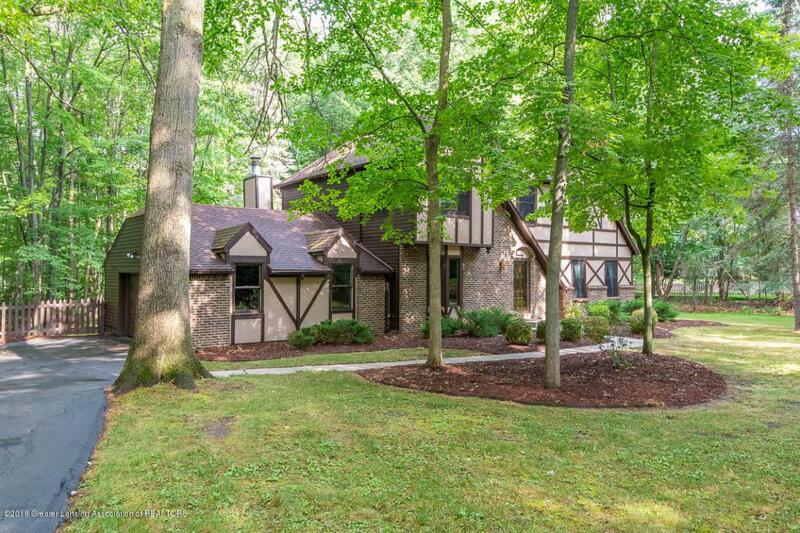 A TUDOR STYLE 4 BEDROOM TWO-STORY ON 1.318 ACRE PARCEL OF LAND! 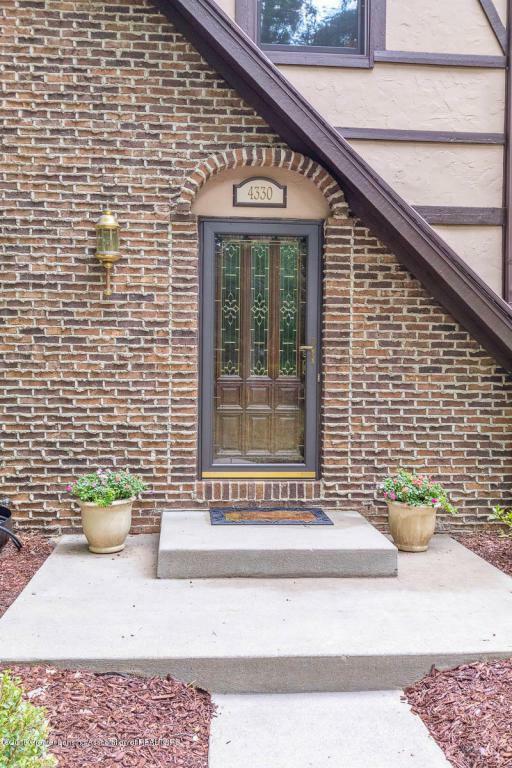 THIS WELL-MAINTAINED CHARMER HAS 2362 SQ FT ABOVE GRADE AND 900 APPROXIMATE SQ FT FINISHED IN THE LOWER LEVEL. 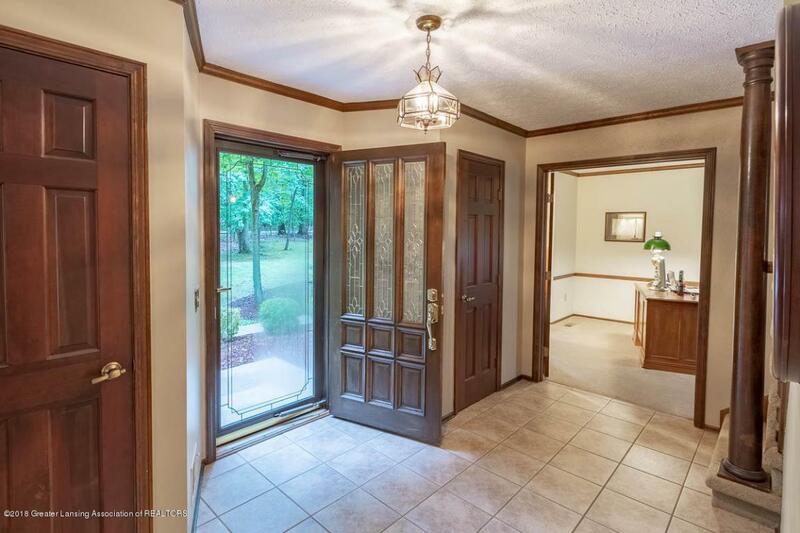 DOUBLE FOYER CLOSETS IN THE SPACIOUS ENTRY. FORMAL DINING WITH A PANEL MOLDED ACCENT WALL. LOVELY FORMAL LIVING ROOM WITH A WOOD BURNING FIREPLACE AND MOLDED WALL TRIM. ENJOY THE STUDY WITH A BAY WINDOW AND BUILT-IN BOOKSHELVES, PLUS FRENCH DOOR. OPEN KITCHEN WITH PLENTY OF BEAUTIFUL PINE CABINETS, SOLID SURFACE COUNTER TOPS, NEWER APPLIANCES AND INFORMAL EATING AREA. THE FAMILY ROOM HAS CATHEDRAL CEILINGS, BEAUTIFUL BOW WINDOW, FIREPLACE AND BUILT-INS, STUNNING CATHEDRAL CEILINGS.ENJOY EXTRA SUMMER LIVING SPACE IN THE OVER-SIZED SCREENED PORCH WITH SKYLIGHTS & DECK FLOORING. BALCONY AND FENCED BACKYARD AREA, 1ST FLOOR LAUNDRY WITH ACCESS TO THE 2 CAR GARAGE. THE SPACIOUS MASTER SUITE INCLUDES WALK-IN CLOSET AND LARGE PRIVATE BATH, WITH SOLID SURFACE COUNTERS AND TILED FLOORS PLUS TWO COMPARTMENTS. THREE MORE BEDROOMS UP, TWO HAVE CHARMING STUDY ALCOVES AND DOUBLE CLOSETS. FINISHED GAME ROOM, HOBBY AREA AND 28X20 IN THE LOWER LEVEL. NEWER MECHANICALS INCLUDE: ROOF 2009, FURNACE 2002, CENTRAL AIR 2002, WELL TANK 2018, WALKWAY 1994, OVERHEAD GARAGE DOOR 2018 AND MOSTLY NEW WINDOWS. CLOSE TO CORNELL ELEMENTARY, SHOPPING & EATERIES.